Do you know the ins and outs of hiring a general contractor? Make having your building needs met easier by knowing what you should do on the front end. This can save you grief, time, and many headaches. There are some very specific guidelines that you can follow prior to hiring a company to do your renovations or total building projects. Below are some of the strategies to help make life easier. Look first to find out which contractors are in your area and make sure that they can meet your specific needs. Check with the state to see if they have a current general contractor’s license and that it is in good standing. For North Carolina you will find licensures at http://www.nclbgc.org/. The majority of states have laws that govern contractors, and a search can be done to find information on licensure. 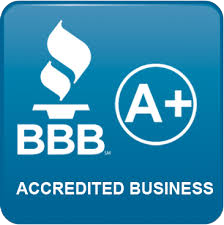 The next step that you will want to take is to check with the Better Business Bureau for any information on the company you are considering. After you have completed both of the above steps you should then ask for references. Once these are provided follow up on those references checking to be sure that the scope of work is close to what you are wanting done and whether the clients were satisfied with the work. Check to see that the general contractor carries adequate liability and workman’s compensation insurance. This is a must when working on your property. This is a must have if one of their employees are injured on the job while working. You don’t want any surprises that could come back and bite you later. 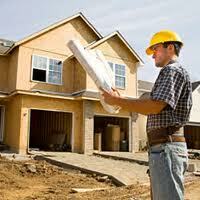 All states have requirements on down payments and terms on general contracting jobs. Always inquire into this prior to starting a job so that you know what your obligations will be and when payment is due. This should be drawn up in the proposal and bid for the job by the contractor. Don’t forget to read the fine print because it can save you a great deal of anxiety if there are problems. Knowing the ins and outs of hiring a general contractor will save you a great deal of anxiety and stress. Never assume anything. Make sure that you are aware of what is expected of you and that the contractor knows what is expected of them. Building or renovations are especially great when you see the results of all of your efforts. Using due diligence will help you go forward in your project. If the above sounds like too much work, simply give us a call. The Novak Group is licensed, experienced, and skilled so that you can be sure your construction or remodel job will be handled professionally and correctly from beginning to end. "We are more than pleased to recommend The Novak Group to other homeowners wishing to make improvements to their home... "
"We loved the craftsmanship and detail given to the finer details. We definitely recommend The Novak Group and will use them again!" "The Novak Group is both professional and courteous!" "Brian's crew did an OUTSTANDING job on the new concrete he poured, and my garage turned out great." "Brian has an amazing attention to detail and desire to please his customers. I highly recommend The Novak Group and would use them again!"